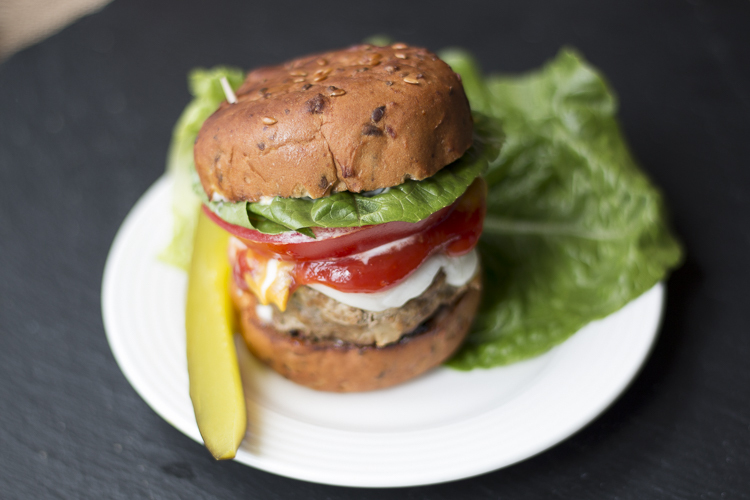 These gluten free sliders, made with our Gluten Free Seeded Rolls, are just the right size for an appetizer, light lunch or dinner. These might be just the perfect thing to serve up at your next party. Combine the ground meats, onion, garlic, pepper, and salt in a bowl. Form small patties the size of the seeded gluten free rolls. Place patties on the grill for 2 to 3 minutes for medium-rare, 3 to 4 minutes for medium or 5 to 6 minutes for well-done. Flip over once your notice droplets of juice forming. Be sure to only flip the burger once. The USDA advises to make sure the internal temperature is at least 160 degrees Fahrenheit before eating. Toast your Gluten Free Super Seeded Multigrain Rolls on your broiler setting until lightly toasted. Assemble your slider, adding your favorite burger fixings.